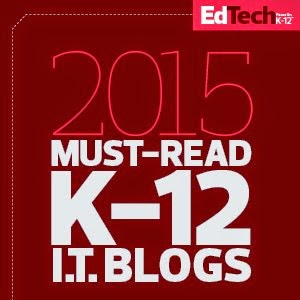 EdTechnocation: EdTechnocation's 2014 EduBlog Award Nominees! 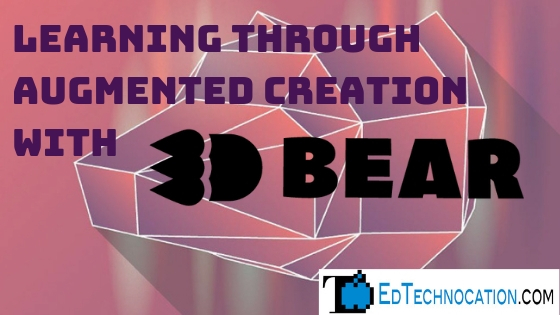 EdTechnocation's 2014 EduBlog Award Nominees! 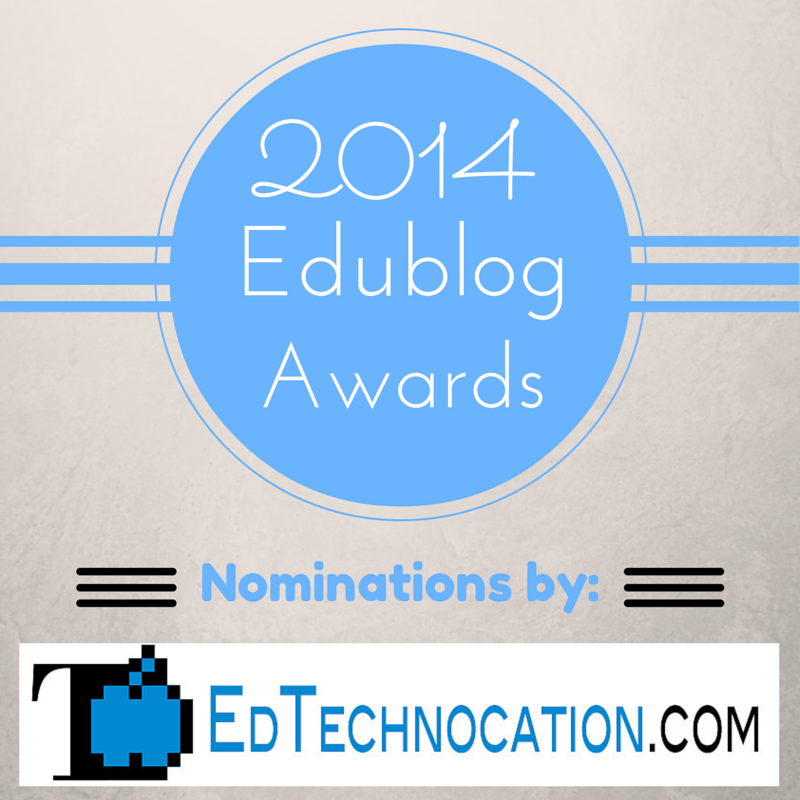 Nominations for the 2014 Edublog Awards is open until November 24th! 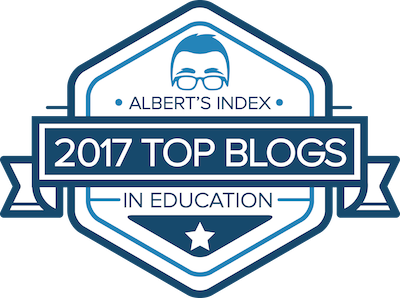 For this year's 2014 Edublog Awards I made four nominations for what I consider some of the best blogs and resources for teachers. 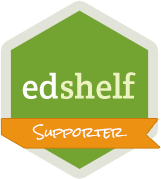 There are a lot of nomination categories for the 2014 Edublog Awards, also known as the Eddies! I chose four of those categories and submitted my nominations. 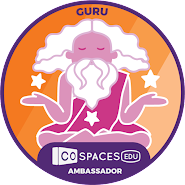 The categories I nominated for are: Best EdTech Blog, Best Librarian Blog, Best Administrator Blog, and Best Twitter Chat. 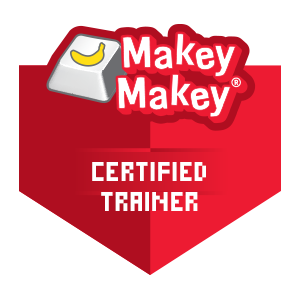 For the Best EdTech Blog, I nominate +Kasey Bell's ShakeUpLearning blog! 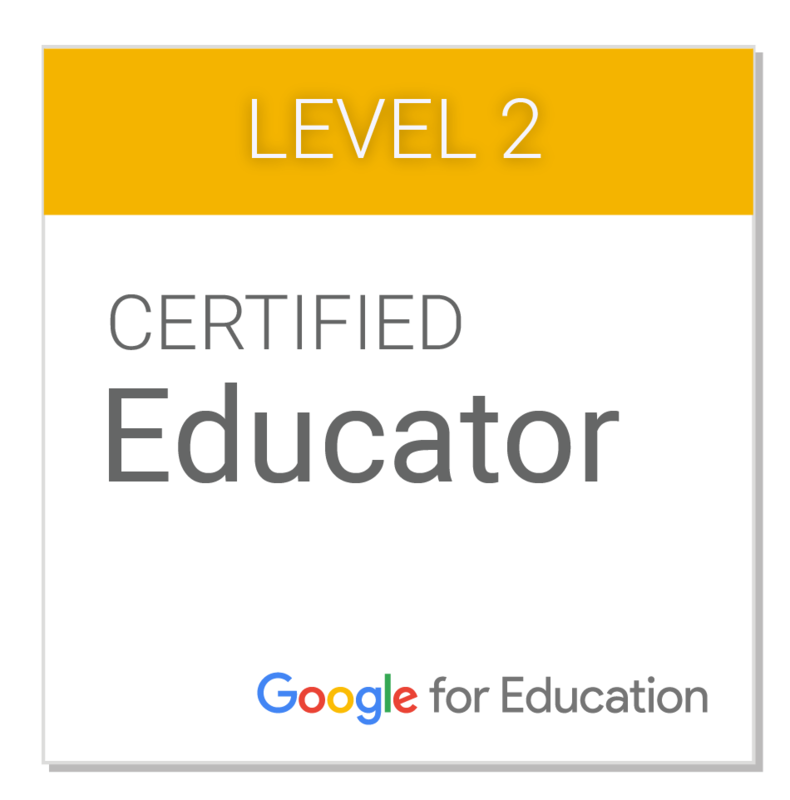 Kasey is an authorized Google Education Trainer, an organizer of many education related events, and already has many recognitions for her work in the field of EdTech. She blogs often and her content is inspiring, informational, and full of resources, tips, and tricks! I enjoy reading Kasey's blog posts and look forward to her new ones. 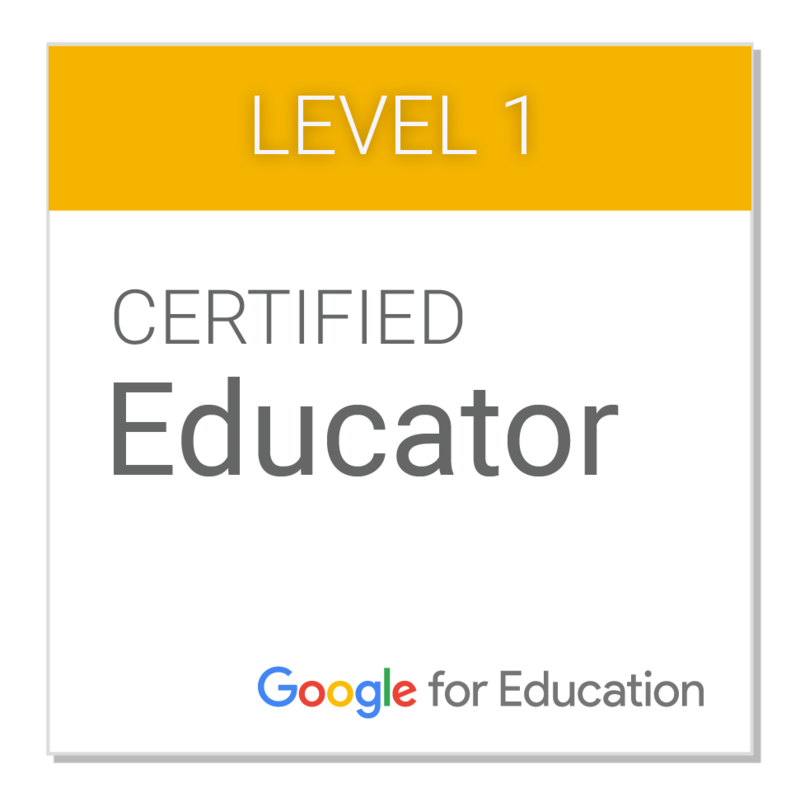 She is also very connected through social media and runs the North Texas Google Educator Group (GEG NOR-TX). For the category, Best Librarian Blog, I nominate +Linda Lindsay's mauilibrarian2 in Olinda blog. Linda is a librarian at Seabury Hall in Maui, HI. 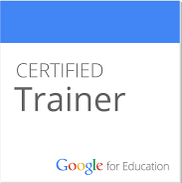 She is also a Google Certified Teacher, an authorized Google Education Trainer, and runs the weekly Google Rocks! Hawaii hangout on air. 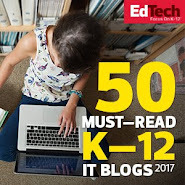 Linda posts frequently about events occurring at her school and in her library, but she also posts a lot of EdTech related content as well. My nomination for the Best Administrator Blog category goes to +Jan Iwase! Jan's blog is called Collaborating, Communicating, Critical Thinking, and Creating. Jan is the principal of Hale Kula Elementary on Oahu, HI. She is also fairly new to the blogosphere, but her blog posts about her experiences and reflections on her school and her position as an administrator are heartfelt, deeply though out, and inspiring for other administrators and teachers to read. I'm a little biased in this category (well, a lot actually...) , but my nomination for the Best Twitter Chat has to go to #edchatHI! 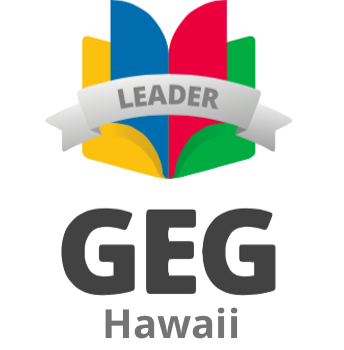 #edchatHI is a monthly Hawaii Twitter chat for educators that I help coordinate, plan, and moderate. We started this Twitter chat in 2013 and it has steadily grown since then. We are still a very small Twitter chat compared to others, but I find it fun and engaging to connect with other educators in my state and in other parts of the world! I just love my PLN! Nominations for the Edublog Awards ends on November 24th. You can submit your own nominations here. Learn more about the Eddies here. Voting for award nominations has not yet been announced, but will likely occur soon after nominations end. 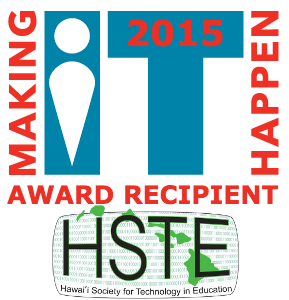 I'd like to personally thank my blog nominations: +Kasey Bell, +Linda Lindsay, and +Jan Iwase! Keep blogging!